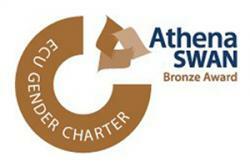 The Athena SWAN charter was established in 2005 to encourage and recognise commitment to advancing the careers of women in science, technology, engineering, maths and medicine (STEMM) in higher education. The charter was expanded in 2015 to include all academic departments and professional services staff. Athena SWAN now recognises work undertaken to address gender equality more broadly and awards recognise commitment to gender equality and diversity, excellent working practices, and the inclusive culture we promote for staff and students at all levels.